Misha Lulu Hello Kitty Silver Striped Umbrella Dress - infant sizes left! 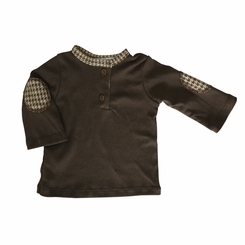 Long-sleeve solid brown Henley with houndstooth elbow patches. 100% cotton. Made in USA.